Bay Area Car Service provides transportation to and from San Francisco, Oakland and San Jose Airports. We also offer hourly transportation in the Bay Area and Napa Valley. We are your best choice for affordable private transportation. With a fleet of luxury cars, our chauffeurs will arrive on time and whisk you to your destination – be it a hotel or your home after flying in, a meeting or conference. Bay Area Car Service will ensure you arrive on time, safely and with less hassle than trying to wave down a taxi. If you need to get across town, but need to take a phone call or can’t afford to lose time on creating a presentation, our hourly driving service is at the ready. 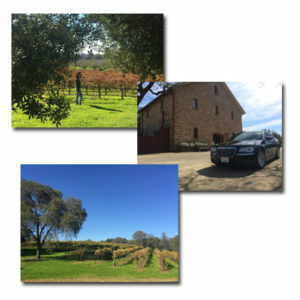 Bay Area Car Service also is perfect for wine tasting in the Napa Valley! Have no worries about driving yourself, our hourly driving is safe and affordable. Bay Area Car Service is available on an hourly rate! With hourly transportation, we’ll collect your business group and shuttle you to that big meeting – without you needing to stop your conversation about quarterly earnings. We’ll take care of the transportation. Oh no! A client just called – they are going to be at the airport tomorrow and need a ride to the office. Fear not – Bay Area Car Service can cover client emergencies as well. Is your business in need of a corporate car service? Give us a call today to discuss our corporate car service rates! Ready to make a reservation? Call us 24 hours before you want us to appear, door open and waiting for our trained chauffeurs to ferry you to your destination, at 1-800-380-9788 or click the online reservations link. If you need more information, don’t hesitate to discover more about our services at the Services link. Spring is in the air and summer is just around the corner. Start planning your vacations and weekend getaways. 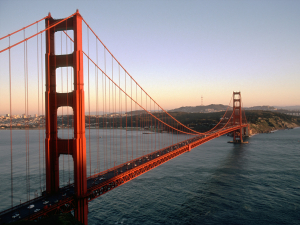 Book our SFO car service today and ride in style to and from the San Francisco Airport. If you are planning on seeing the a show, give us a call and we’ll make sure you arrive on time. The San Francisco Ballet is the perfect surprise for that special date. For more info visit the official San Francisco Ballet website. Take your date to the theater in style. Visit www.san-francisco-theater.com to see whats playing. Are you flying in for a sporting event? Great, we can pick you up from any of the Bay Area Airports and get you to the coliseum with time to spare. You can enjoy a few beers with your friends and not have to worry about drinking and driving. We’ll take you from the sporting event back to your hotel as well. Just let us know your time frame and we will take care of the rest. Halloween is coming up fast. Why not get to your party safely and in style? Bay Area Car Service would love to drive you and your friends around the city of your choice. How fun would it be to bar hop around the city without the a designated driver. Everyone gets to party. Let us be the designated driver for you and your guests. Do you need a Bay Area shuttle service? The Chrysler 300 is perfect for being chauffeured around town or from the office to a convention. Want to kick the luxury up a notch? Try one a Lincoln MKT, a full-size luxury crossover SUV. Our Ford Explorers are mid-size crossover SUV that boast a five-star crash test rating, staying at the top since 2013. Tour the Napa Valley wine country with family and friends in our luxurious Mercedes Sprinter – or any other event. Need transportation to or from SFO? Sit back, relax and enjoy your ride with Bay Area Car Service! 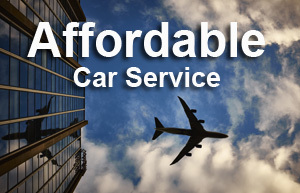 Book Your Bay Area Car Service Today! SFO car service today. Click here for more info, Call us at 1-800-380-9788 or book your online reservation now! Tour the Napa Valley Wine Country in Style!! Just imagine that your in The Napa valley, enjoying your wine, and you don’t have to drive! That’s right, you can leave the driving to us while you enjoy every last sip of your wine. While going on a big wine tour can be fun, there are limitations and you have to go with the herd. You’re making friends with people that are not on your tour and your tour is leaving. You just lost the chance of a lifetime because you had to stay with your large group. NOT WITH US! You can stay as long as you’d like in any location. You meet that special someone, Great! Stay as long as you’d like. Get to know them. Build a new relationship. Our Napa Valley car service is here for you! Click Here, Call us or book your reservation now at 1-800-380-9788! Do you need info about the different Napa Valley Wineries? Click the link to view a list of our favorite Napa Valley Wineries. Follow us on Trip Advisor.